Manufacturer & Exporter of Pruning Saw. Our product range also comprises of Tractor Mower, Chain Saw and Electric Hedge Trimmer. 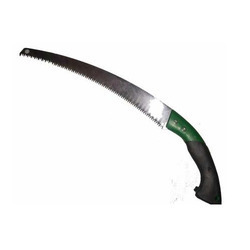 We feel immensely pleased to offer an exclusive gamut of Pruning Saw at cost effective price. In order to ensure quality, this saw is rigorously tested on different parameters. Apart from this, we provide the entire range in different sizes, as per the requirement of our prestigious clients.